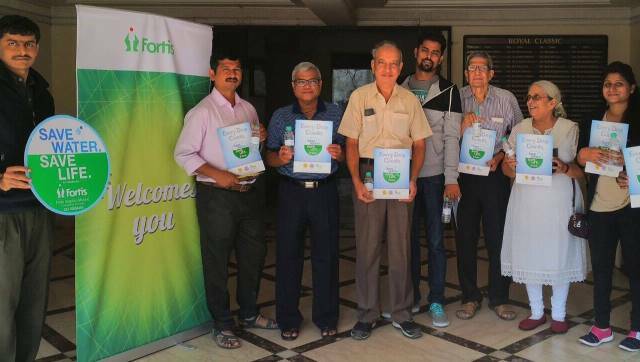 Fortis Hospital in Mulund, Mumbai had launched a Corporate Social Responsibility (CSR) campaign on save water, save life during December 2015. The campaign was aimed at creating awareness on water conservation and planning. This initiative, through an ‘Influence the Influencer Programme’ targeted housing societies to bring about a change in Mumbaikar’s outlook on water conservation by conducting highly engaging workshops across Thane, Mulund, Bhandup and beyond areas. The ‘Save Water, Save Life’ campaign also conducted workshops which helped impart information and find indigenous solutions for meeting water-related demands. An integral part of the programme was to sensitize the next generation for water conservation. According to Observer Research Foundation (ORF), Mumbai loses a shocking 650 million liters of water every single day due to leakages, an issue which is imperative to be dealt at the grassroot level. The results of the ‘Save Water, Save Life’ campaign have been promising. The campaign helped 45 housing societies accommodating over 5,000 residents, through workshops and plumber-on-request facilities. Over 75 leaking taps were identified in the housing societies, through which about 1,00,000 litres of water, in a year, would have been wasted. These taps were repaired and resulted in saving of approximately 12,50,000 litres of water on an yearly basis. The ‘Save Water, Save Life’ initiative will be sustained in the following months through pan-city Community Connect activities, engaging over 1,800 families. College and school engagement programmes will also be rolled out pre-Holi, so as to help curb wastage of water during the festivities. Over 7,000 school and college-goers from Billabong High, Thane, Vani Vidyalay, Mulund, Friends School, Mulund, K. J Somaiya College, Ghatkopar and Joshi-Bedekar College, Thane will be involved. If you are in Mumbai and would want this campaign to reach your area, please contact 91670 01122 at Fortis Hospital, Mulund, Mumbai. NextWhy Did Leonardo DiCaprio Talk About Climate Change at the Oscars?